/ Modified jun 15, 2018 12:29 p.m. 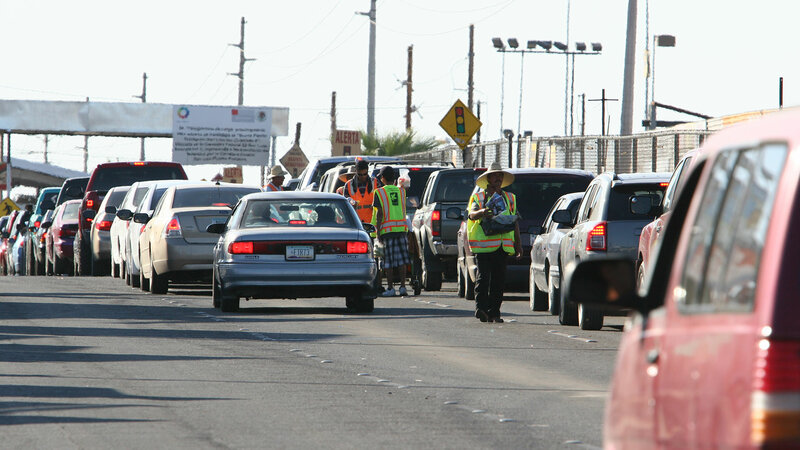 Afternoon traffic heading into the U.S. builds up at the San Luis Port of Entry in San Luis Río Colorado, Sonora, 2011. Delegates, politicians and business owners from throughout the region met in Tucson at the Arizona Mexico Commission’s summit Thursday. The U.S.'s top diplomat in northern Sonora is Virginia Staab, the consul general in Nogales. She spoke at the summit on a touchy subject: the constant drumbeat of travel advisories issued by the U.S. government about visiting Mexico. "Push back on those narratives. Because I’ll tell you, the fastest way to change the Department of State is the domestic population. That says: 'No, no, no. [Puerto] Peñasco's safe. This is safe.' We need more positive information out there. "We’re a group tour operators throughout Mexico — primarily Sonora, Chihuahua. It’s all culturally tours. It’s not the beaches and parties and spring breaks. It’s showing people the other side of Mexico that they don’t necessarily think of when they think of Mexico for a vacation," Caparros said. Arizona Gov. Doug Ducey and Sonora Gov. Claudia Pavlovich were scheduled to attend the summit Friday to be updated on infrastructure improvements at the ports of entry.